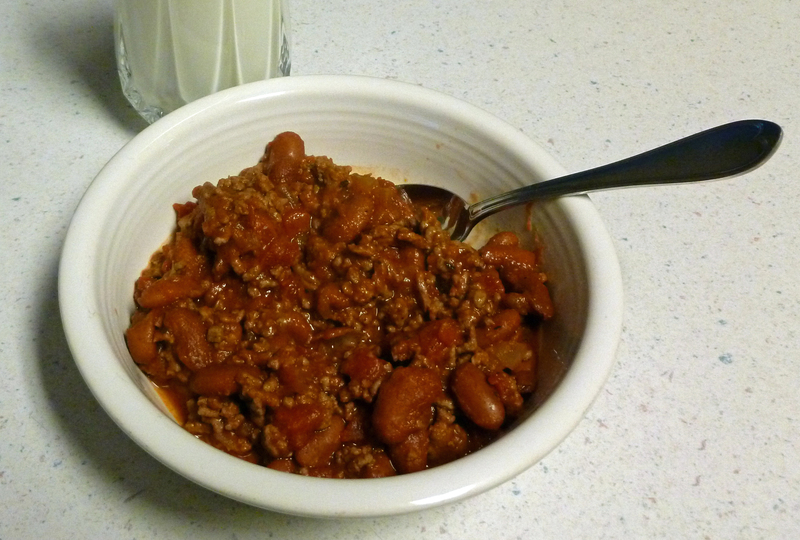 After 17″ of snow the last couple of days, I decided to make chili! I have a go to recipe I use which would not win any Chili cook off competitions but I like it. The original recipe comes from a Better Homes and Garden cookbook my mom gave me back in the 80’s. I love that cookbook! I don’t really follow the recipe anymore, I just throw the stuff together. Below is basically what I do. I will tell you that I usually add more chili powder than what I have listed. The original recipe calls for 2 tsp. but who would put only 2 tsps. in chili!?! Brown ground beef along with onion and garlic in a sauce pan coated with olive oil. Drain and add remaining ingredients. Cook at least 30 minutes. Mmm chili sounds good for a rainy day like today. I would love if you came and shared this at my Foodie Friday party! Thanks for the comment Adelina! I linked up to your party!